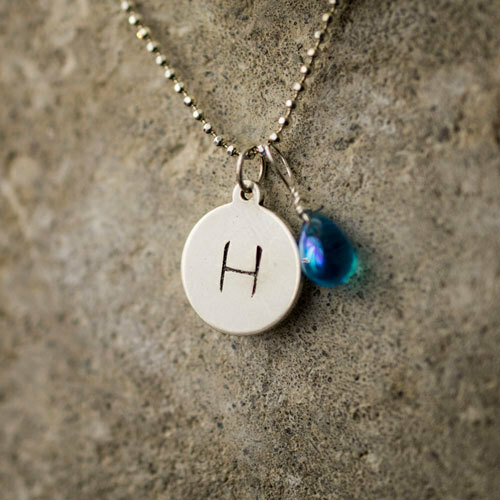 This Little Girls Personalized Necklace is darling. 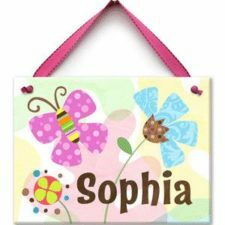 Every little girl loves seeing her name engraved on things. 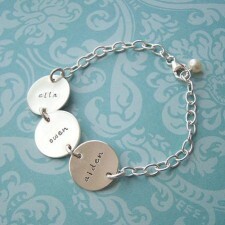 Why not give your sweet girl something she can wear everyday. 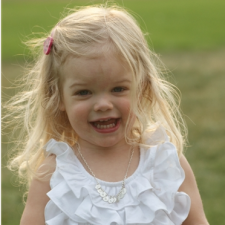 Girls necklace is made of sterling silver with a gold heart. Comes with a 14 inch chain unless otherwise specified. 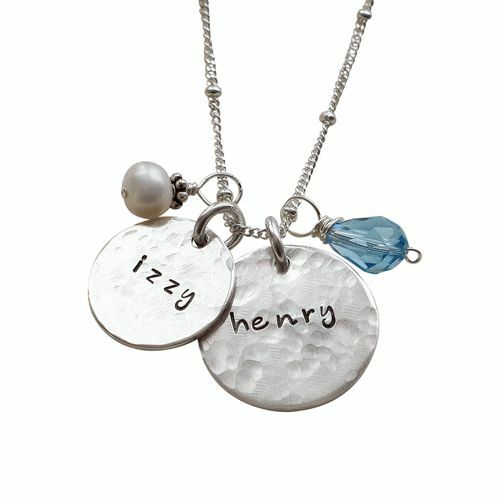 This personalized necklace for girls will be treasured forever. 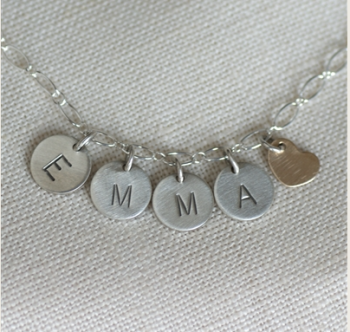 The perfect gift for your beloved little girl. 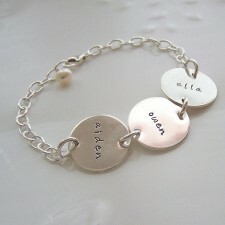 Sterling silver loop chain with hand stamped mini-discs. The charms spell out your child’s name. 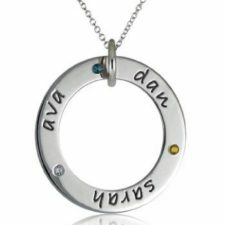 Shop My Retro Baby for girl necklaces, personalized jewelry and more today. 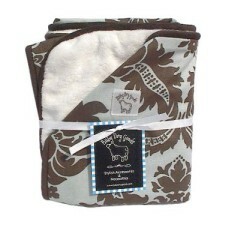 We do not recommend cleaning with harsh chemicals. You can keep your necklace looking shiny and new by cleaning with a polishing cloth. 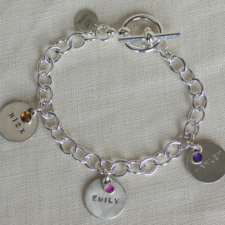 *Personalized jewelry cannot be returned. 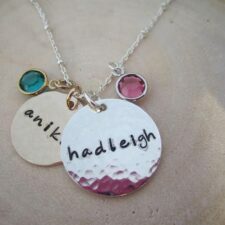 *Please allow 2-3 weeks for personalized jewelry! 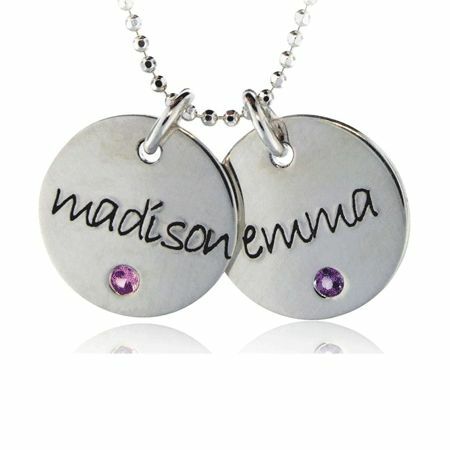 This Little Girls Personalized Necklace is darling. 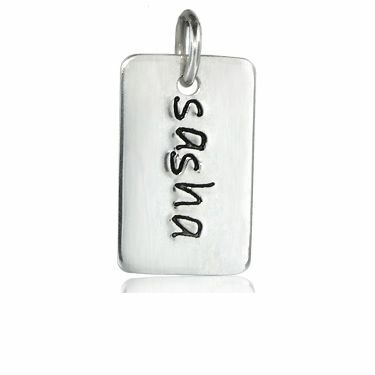 Every little girl loves seeing her name engraved on things. Why not give your sweet girl something she can wear everyday. 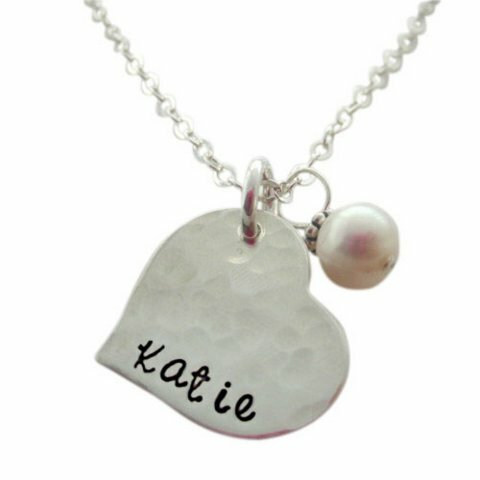 Girls necklace made of sterling silver with a gold heart. 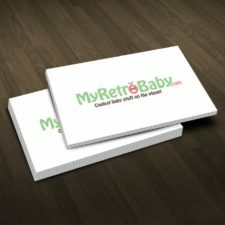 Shop My Retro Baby for girls necklaces.